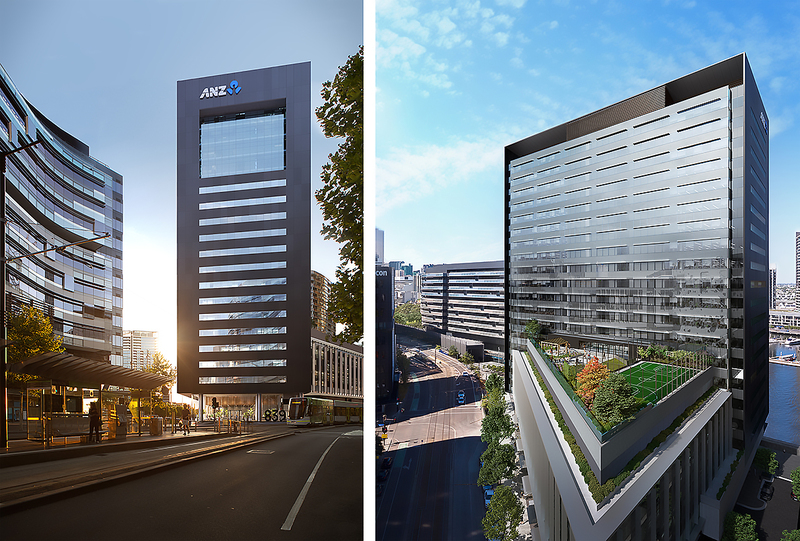 Australian global insurer QBE will join anchor tenant ANZ in Victoria Harbour’s latest commercial building at 839 Collins Street. QBE will occupy around 6,000sqm across three floors and will move approximately 400 employees from 628 Bourke Street by mid-2019. ANZ has already leased 26,500 sqm of the building. Designed by award winning architect Denton Corker Marshall, the building’s floorplate designs give clients the flexibility to scale their workplace operations up or down without the need to lease extra space. All tenants have access to a north-facing outdoor garden and terrace with a multi-purpose sports court, event spaces and BBQ facilities, helping to extend the workplace outdoors. A vibrant mix of retailers will open at 839 Collins Street throughout the year. This includes the lobby’s restaurant and café, The Other Brother, operated by Melbourne hospitality venture Continental Hospitality Group. The building, featuring a low-energy underfloor air conditioning system that also improves indoor air quality, is on track to achieve a 6 Star Green Star Design and As Built rating from the Green Building Council of Australia. The Victoria Harbour precinct has already achieved a 6 Star Green Star Communities rating. The 39,000sqm building is now close to being fully leased and will reach practical completion in March this year. 839 Collins Street is a great example of Lendlease developing next generation workplaces where the focus is on innovation and the end customer. The Victoria Harbour precinct now has one of the highest concentrations of Green Star rated buildings in Australia and is home to some of the nation’s most recognisable brands. The arrival of large commercial tenants like QBE and ANZ continues to transform the area into a key mixed-use precinct.